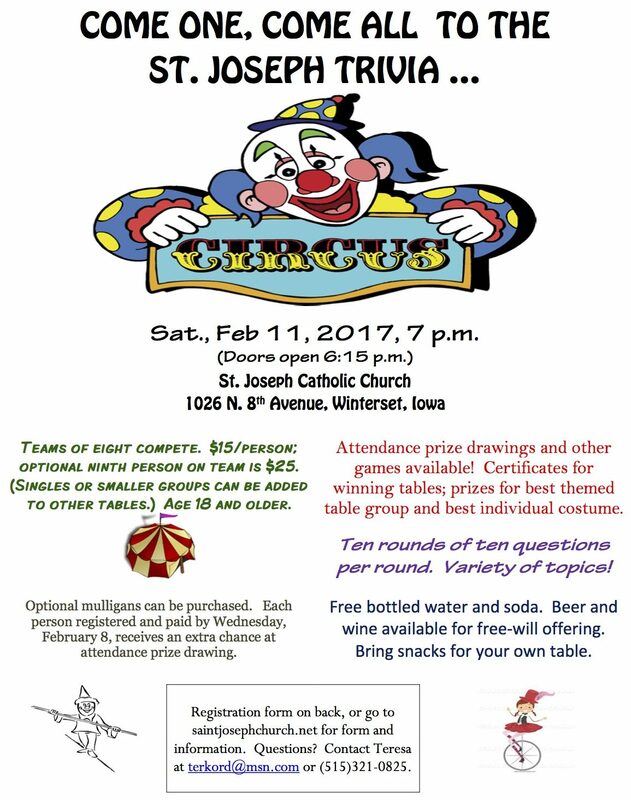 One of Winterset’s tastiest events is happening this Saturday, in celebration of Valentine’s Day — and warm weather — look at this forecast! 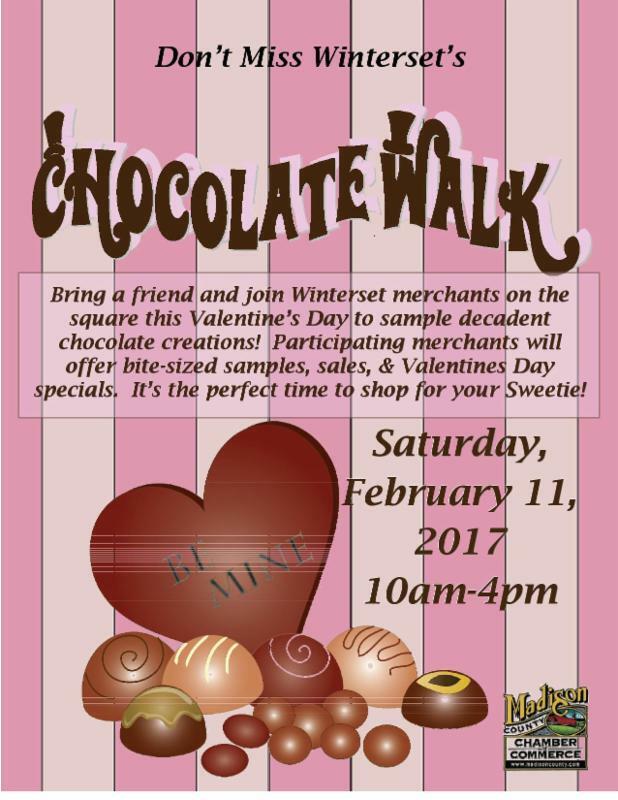 Sponsored by the Madison County Chamber of Commerce, the Winterset Chocolate Walk is an annual event that requires no registration or purchase to attend. 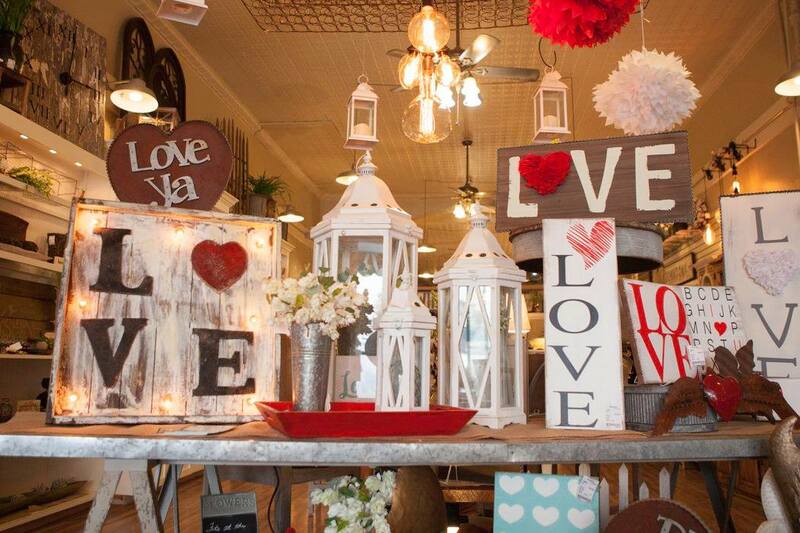 Just take a stroll around the square and stop by your favorite merchant locations to sample chocolate treats while you browse for Valentine gifts from 10:00 am to 4:00 pm. 1st Avenue Collective will sample chocolate truffles as you shop. All jewelry made by local artist Sandra Geronimo will be 20% off. 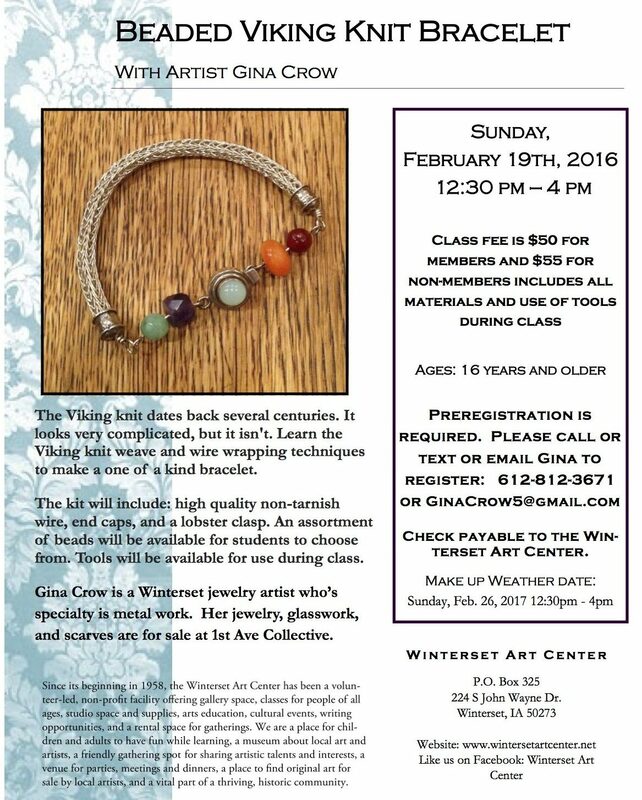 They also still have a few seats open for their “Circle of Love Necklace Class” on Saturday from noon to 2:00pm. Call them at 515-505-4396 to register, or visit the classes & events page on their website for more details. Linda the Bag Lady will be serving chocolate mousse, and she’ll also have a progressive sale on her hand-crafted table runners: buy 4, get 1 free; buy 3, get the 4th at 20% off; buy 2, get the 3rd at 15% off; buy 1, get the 2nd at 10% off. Also, any purchase with red in it is 10% off . Pine Creek Ltd. will be sampling Chocolate Raspberry and Chocolate Caramel Sea Salt dessert toppings, as well as chocolate coffee. They’ll also have prize drawings and in-store specials between 10-50% off. I don’t know if they have chocolate to share, but re:home is open this weekend too! Today until 6:00 pm and Saturday from 9:00 to 5:00. Treasure’s Fine Jewelry will be serving white chocolate covered pretzels and offering 25% off all sterling silver jewelry, in addition to other in-store specials. Ben Franklin will have “pretzel hugs” made with Hershey Hugs and valentine M&Ms, as well as gourmet brownie bites. While you’re there, enter the free drawing to win a 2.5 lb Valentine box of Russell Stover chocolates! The winner will be drawn at the conclusion of the Chocolate Walk. Madhaus Gallery will be open, and Robin will be in the hot shop. 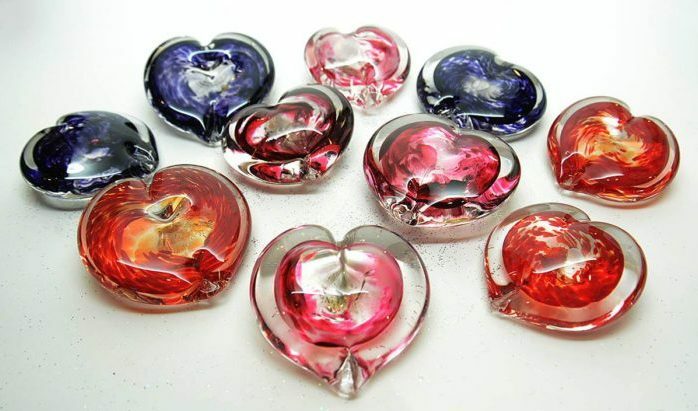 Come in to find these beautiful blown glass hearts. Each one is a unique work of art! Angel Wings & CT will be serving chocolate dipped mandarin orange slices, chocolate turtle apple slices, and some nuts and cheese for protein! They are also offering “Pockets of Love & Discounts.” Pick your heart pocket for a chance of 10%, 15% or 20% off one regular priced clothing item (excludes jewelry and scarves). They are also featuring creations by Old Parts New Hearts and Michelle Sellers. Village Bootery will be serving homemade caramels and will have 25% off chocolate “brown” shoes. Winter clearance is now underway also — lots of “sweet” deals. Mickalina’s Perfumerie will have lots of chocolate cupcakes. If you haven’t visited this great new business yet, check them out right around the corner from b.shannon designs, on your way to 1st Avenue Collective. Brooke at b.shannon designs is running a very special promotion for Valentine’s Day! 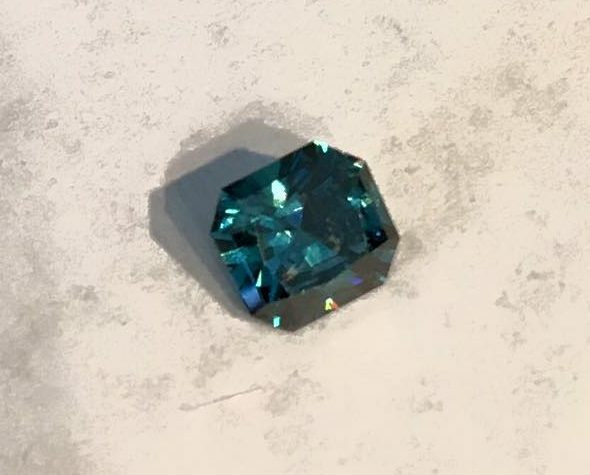 In addition to a chocolate treat on Saturday, everyone who spends $100 or more in the store on Friday (today), Saturday or Tuesday will be entered in a drawing to win the 1/2 carat blue diamond pictured below. The drawing will be held at 5:00 pm on Valentine’s Day. Other participating merchants include Montross Gift Shop, The Finishing Touch, Salon 107 (Aveda), Piece Works Quilt Shop, and more. AND, last but not least, The Iowa Theater will have its ticket lobby open and handing out fun-size boxes of Junior Mints and Milk Duds. While you’re there, you can learn about the opportunity to become a permanent part of the restored theater by sponsoring a seat. 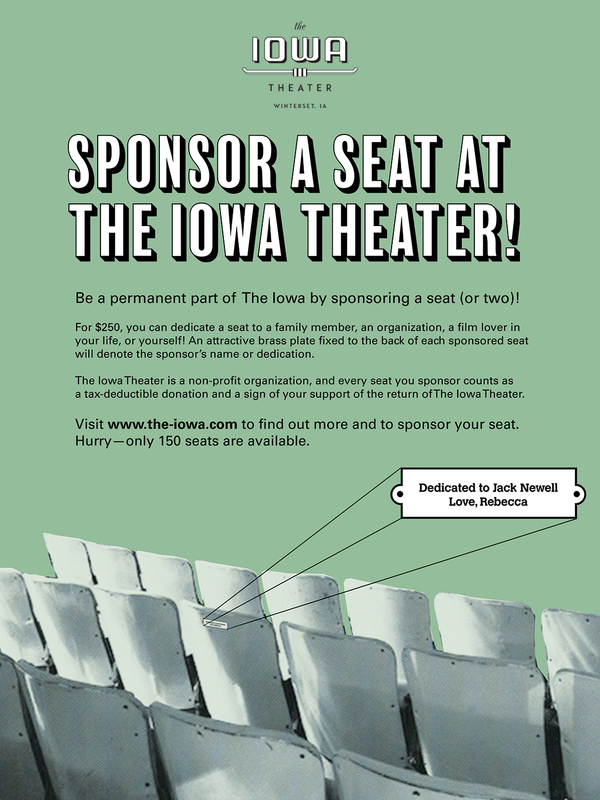 If you and your Valentine have “fond memories” of the The Iowa Theater, this would make a lovely gift! 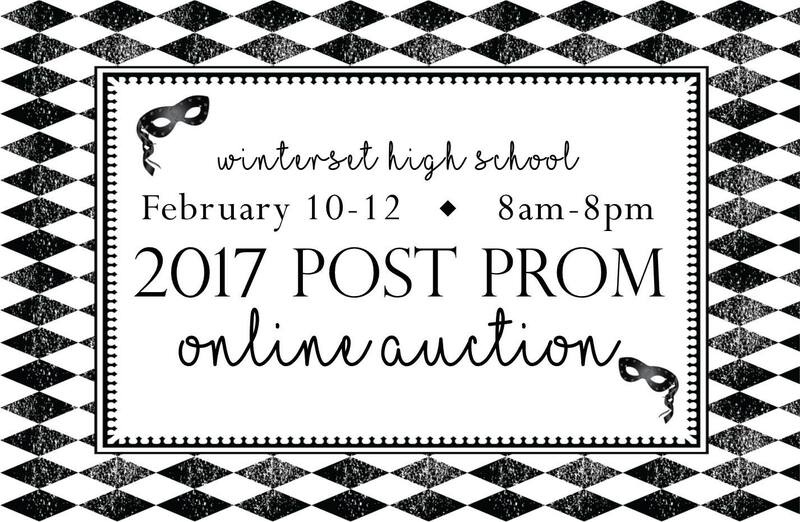 There are two ways to support the Winterset Post Prom committee this weekend, dedicated to making a memorable event for our youth and keeping them safe on April 22nd. Tonight they’ll be serving a dinner of soup, salad, bread, dessert and drink for $5.00 during Huskies Basketball at the high school from 5:00 to 7:00 pm, and all this weekend they’re running an online Facebook auction through Sunday at 8:00 pm. Items include donations from Aveda, Village Bootery, Rodell’s Smokehouse, Angel Wings & CT, The Finishing Touch, Mi Pueblito, Montross, Norwex, Spoons Full of Sugar, and much, much more! Click this link to see the auction and participate. MCCB is also hosting a Full Moon Hike this evening (Friday), and it promises to beautiful! The weather is cooperating, and in addition to a full moon, there will be a lunar eclipse and a comet. Participants (children and adults) will meet at the Conservation Board office at 2273 Clark Tower Road at 7:00 pm before crossing the road for an adventure through Middle River Park. This is prime owl calling season, and you might hear a few along your trek. Explorers will then return to the Conservation Board office for warm beverages. If you haven’t registered but are interested, call 515-462-3536 or email naturalist@madisoncountyparks.org). 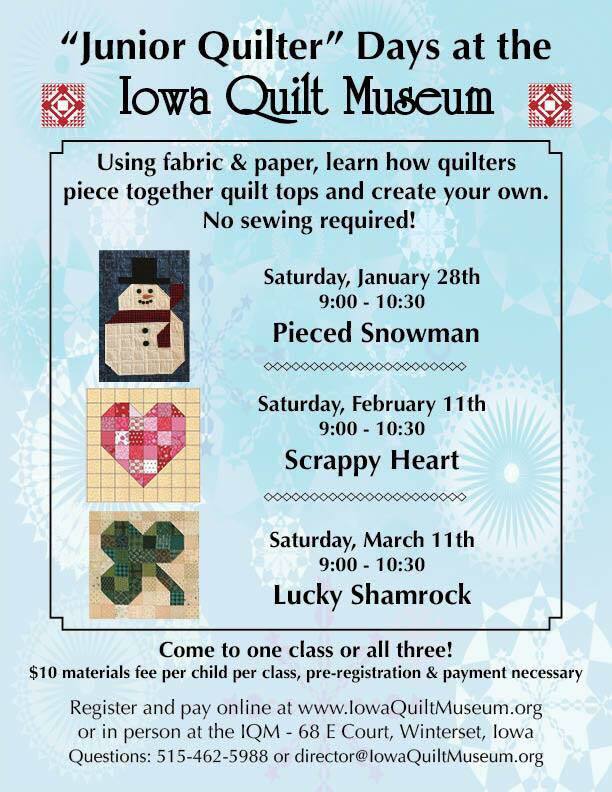 On Saturday, the Iowa Quilt Museum is offering the second in a series of Junior Quilter classes, “Scrappy Heart” at 9:00 am. 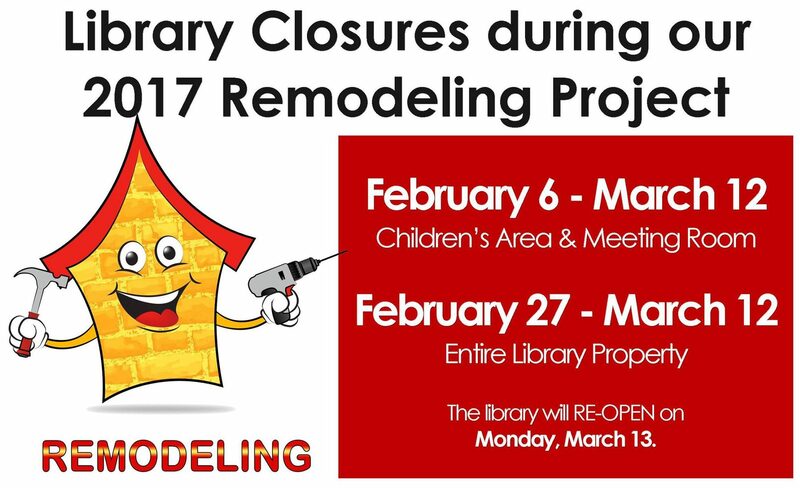 Just a reminder that remodeling is now underway at the Winterset Public Library and the Madison County Chamber Welcome Center. The library is getting a makeover with new paint, carpeting, and some new furnishings. The Children’s Room and Meeting Room are closed to the public, but there is currently still access to books. Loan periods have been extended, and anything you check out now will not be due until after March 12. Be sure to get plenty of books, DVDs, and audiobooks to meet your needs! The entire library will be closed from February 26 through March 12. Materials may still be returned in the drive-up book drop on the east side of the library during the closure. Watch Facebook and the library’s website – www.winterset.lib.ia.us – for further updates on the closure and remodel progress. The Chamber Welcome Center is also closed during the month of February for renovations, meaning that their front door and front entry area is closed to foot traffic. The Chamber offices will be open, and they will continue answering phones, but access to the building will be very limited. 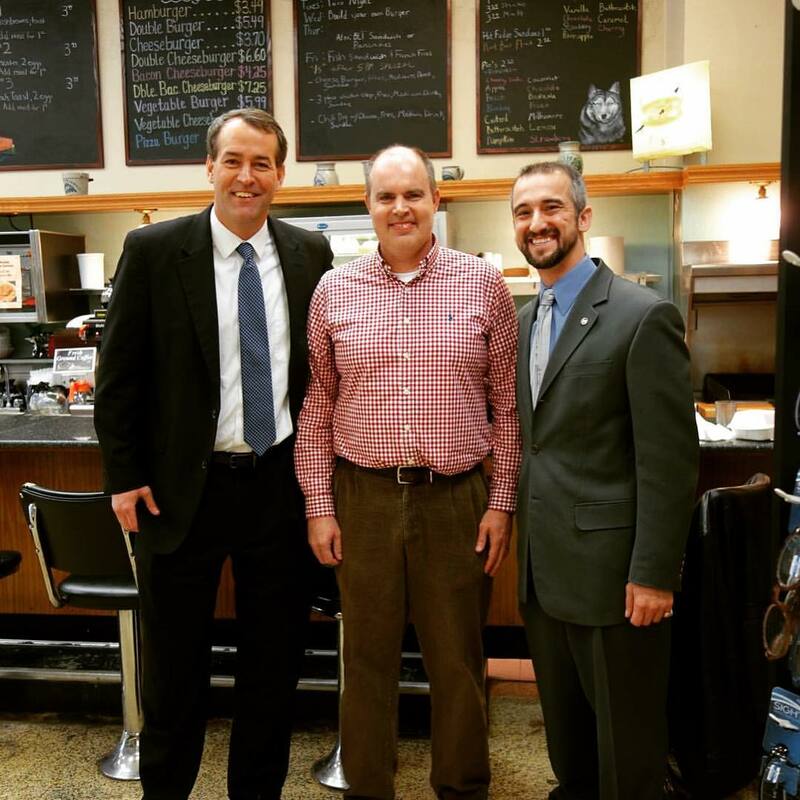 They are very excited to update the flooring, lighting, paint, displays and more as Madison County prepares for a busy tourist season in 2017. Tony Valdez and Don Jaques will be performing for a special event at Covered Bridges Winery on Saturday, February 18th. Tony Valdez is a ticketed event with limited seating available. Tickets are on sale through this Sunday (or until sold out). 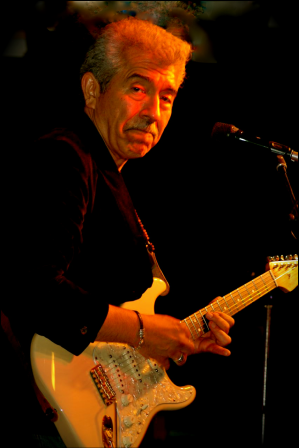 Self-taught on the guitar, Tony has been an integral part of the central Iowa music scene since the mid-1960’s. It all began with The Echo’s Five: “We played at popular places like The Clique, The Place, The Mousetrap, The Val Air Ballroom, the original Roof Garden Ballroom at Lake Okoboji and TeenTown at the Iowa State Fairgrounds.” Through the 1970’s, 80’s and 90’s, Tony played in groups loved locally and known regionally such as the Cavaliers, The Flight and Sam Salomone and the Spy Boys, to name a few. In the mid-1990s, Tony teamed up with saxophonist extraordinaire Don Jaques, playing their way up and down Court Avenue. Jazz thrived along the avenue, at venues such as The French Quarter, Spanky’s, Julio’s, and Tony’s “beloved” Nacho Mammas. Be sure to save a spot for yourself and your Valentine! Find more information and register online here. 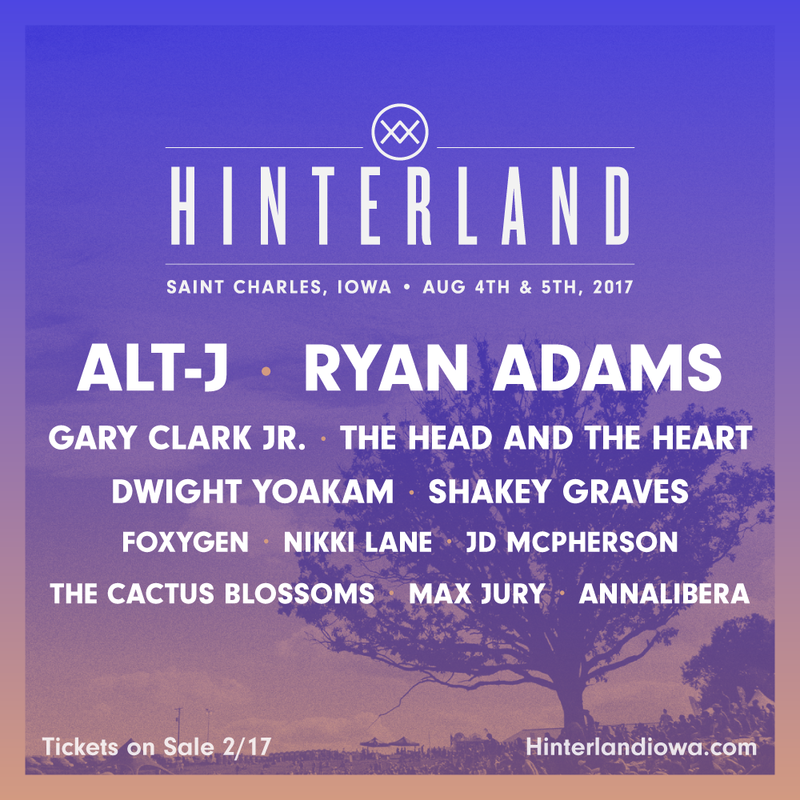 Looking waaaaay ahead, the lineup for Hinterland 2017 has just been announced! Tickets go on sale next week. Mark your calendars for August 4th and 5th for a weekend of music in St. Charles. Thank you for reading The Winterset Citizen.